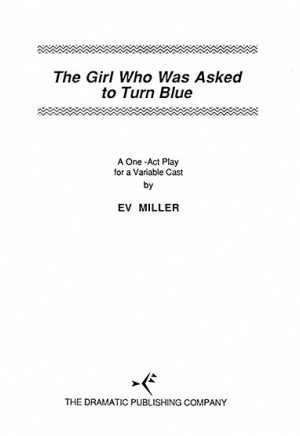 Tracey Logan, a girl of 16, finds herself unexpectedly in a world where everyone is blue. Not only are all the other teenagers dressed in blue and have blue skin, but they have numbers instead of names. Tracey begins to ask some pointed questions, and it becomes obvious that they evolved through a period of time that was similar to our society. Tracey is told that she, too, must turn blue in order to fit into this blue society. She must decide whether to maintain her individuality and become an outcast or to turn blue and become accepted by the others. A story of the choices concerning conformity and individuality that we all must make, this new play is written with two endings. The director may choose either to present to the audience. Whichever is chosen, many questions will certainly arise about a society that expects complete conformity from its members. "My drama class of 30 is performing this for the middle school; because of such a large group with a wide variety of experience and talent, this was a perfect fit. Nice themes to discuss, too." "It went exceptionally well. 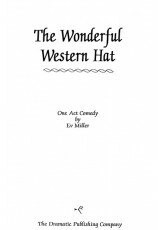 Very good material for a middle school audience." 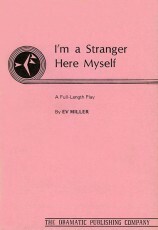 "An excellent piece for adolescents, this play examines prejudice, peer pressure, fundamentalism, chauvinism, and ostracism. Science fiction is a great genre for issue-based plots." 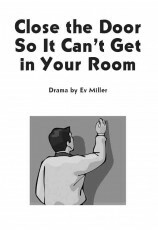 Review by Kate Olena, Nichols Middle School, Buffalo, N.Y.
"This is an outstanding script with a strong message. 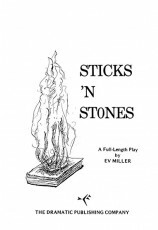 My students felt that this play carried a great deal of meaning to people of all ages." Review by Richard Pope, Waukegan High School, Waukegan, Ill.
"Experiment with the make-up before the play. Allow at least an hour for applying make-up." "Perform both endings. There should be a speech between them to give time for the costume/make-up change." Tip by Kate Olena, Nichols Middle School, Buffalo, N.Y.